Army Leather Heli ski gloves are a well-known classic from Hestra. These winter gloves have a long cuff that makes it perfect for deep snow off-piste skiing as the wrap over the jacket sleeve is enhanced. Comfort and durability are combined in these gloves with drawcord closure and wrist straps that ensure good and firm fit. The upper part of the gloves is made in windproof and water-resistant fabric that is also breathable. It is due to the three-layer Hestra Triton membrane. The palm is made of goat leather. Inside are removable soft and warm Bamberg polyester linings with insulation. 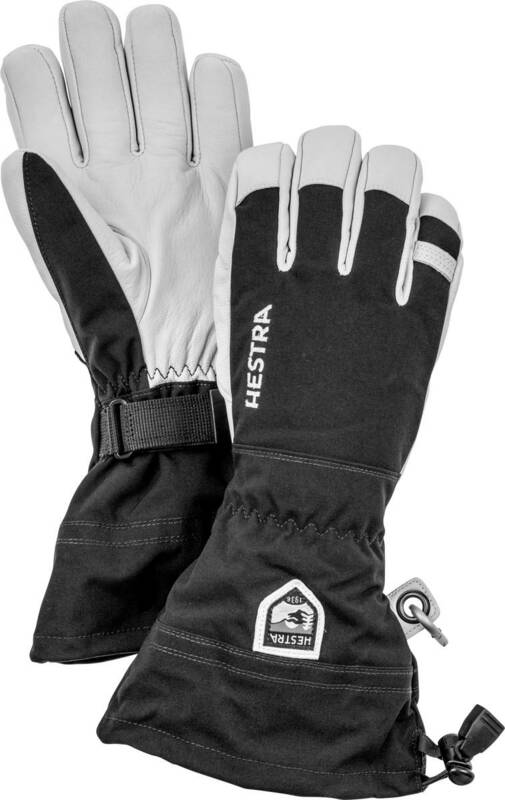 These gloves are perfect for snowboarding, ski touring, all mountain skiing and off-piste skiing.